Motor plate for your electric or gasoline engine motors. 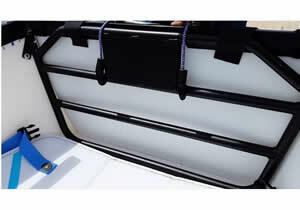 MyDinghy has an inside built-in plate and you need one of this optional plate for outside of the boat. 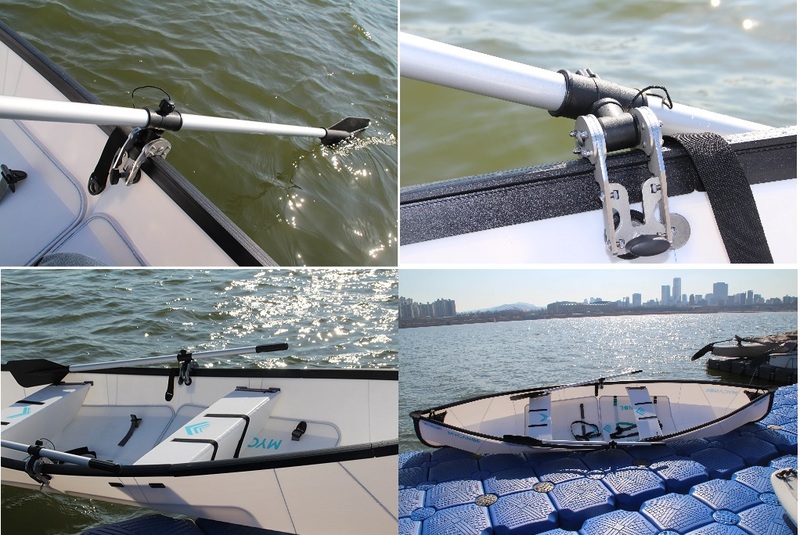 A pair of oars that are lightweight and easy to carry. Fits in the accessory bag. Assembled length: 54.5 in Blade length / width: 14.5 in / 5.5 in A set of two. The stabilizer tubes are perfect for assistance on rough water or added stability during fishing and photography. The dual sturdy air tubes easily attach to each side of your hull and store nicely out of the way until time for deployment. The simple large twist valves allow for quick and easy setup. 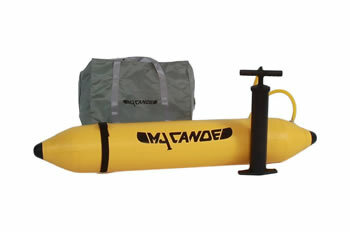 The Kit includes a pair of stabilizers, a hand or foot pump, and a carrying bag. Even with stabilizer attached, you must wear US Coast Guard approved personal flotation device.